Many lots are still available for sale in the Town of Maine Cemetery, as are Columbarium niches. Costs vary depending upon location. Please ask the Sexton or Office Manager for prices and details. Graves are opened and closed by the Cemetery personnel for burials — or, in some cases, to relocate remains. 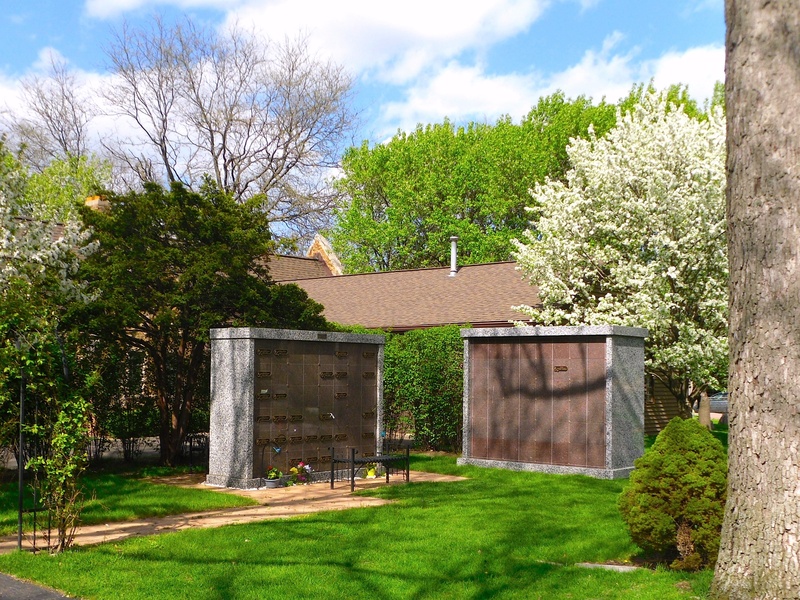 Likewise, Columbarium niches are opened by the Cemetery personnel for the placement of cremains. There is an added fee for Saturday openings. Please ask the Office Manager or Sexton for prices and details. Prior to each burial, a concrete box is set into the grave. On the day of the funeral, the casket is lowered into this box (also called a vault), and a lid is placed on top before the grave is closed. The vault protects the casket from the weight of the earth and the equipment that is used in the maintenance of the Cemetery grounds. Cremains are also placed into a protective box for interment in a Columbarium niche. Please ask the Office Manager or Sexton for prices and details. Headstones (also called monuments) mark the graves of loved ones and fallen heroes. Many of the headstones in our Cemetery provide unique, personal tributes – memorials that are not allowed in many other cemeteries. A foundation is essential to protect the headstone and to provide necessary stability as the ground shifts and moves over the years. Headstones and foundations can be purchased through the Cemetery. Please ask the Office Manager or Sexton for samples, prices and details. Columbarium niches (and bronze plaques) for the placement of cremains are available for sale in a special area just south of the Gate House. Costs vary depending upon location. Please ask the Office Manager or Sexton for prices and details. Grave openings can be supplied with a tent. Chairs are also available if requested. Please ask the Office Manager or Sexton about all other services and current prices.